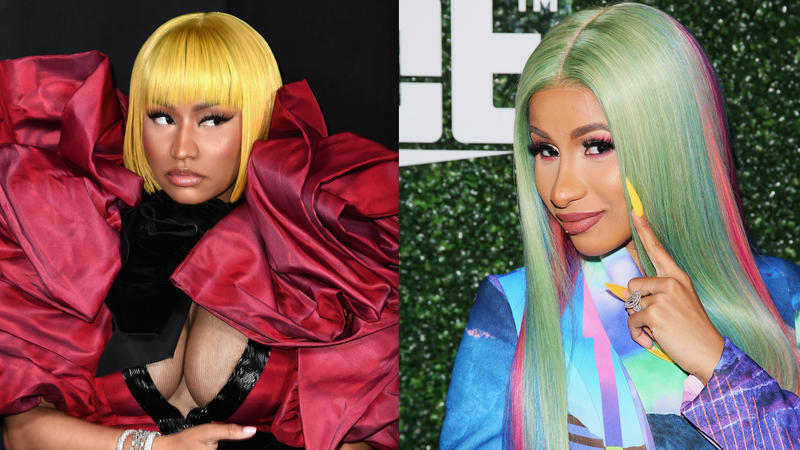 It has been a few months since anyone checked in on Cardi B and Nicki Minaj’s ongoing beef, but it looks like the meat is as fresh as ever. While walking the carpet at the Swisher Sweets Artist Project Awards this weekend, a Variety reporter asked Cardi B if she would ever consider making amends with the rapper. She responded with silence, and then literally laughs in his face. Variety reporter: Is there ever a chance that you and Nicki would make up and perform together? Do you think? Cardi B: Heh, heh, heh, ahaha, heh, heh, heh. Ah-hah, heh, heh. She cackled at him for 10 full seconds? It’s priceless? According to TMZ, the note was ripped from one of his old lyric notebooks and is currently on sale for $7,500 “through the memorabilia company, Moments in Time.” Apparently this particular book of early Drake history was “found in a dumpster near his grandpa’s old furniture factory in Toronto, where Drizzy used to work,” so I’m assuming he wrote this as a tween? Can I get an age check here, so I can gauge my reaction? If this is, like, 20-year-old Drake—which it may very well be—“adorable” might not be my first thought. Just sayin’.